Are you ready for a change throughout your home? When it is time for an upgrade, choosing a new set of flooring can deliver a major transformation at a price that fits any homeowner’s budget. 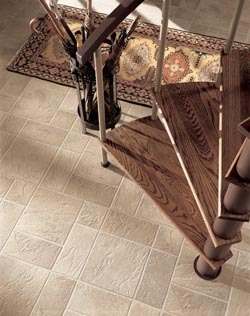 At our local showroom, we carry a complete selection of luxury vinyl tile flooring in Irvine, CA. Available in a full range of styles, colors, and patterns, our collection of luxury vinyl tile and plank floors includes endless varieties that are sure to please even the most discerning tastes. No matter what you are looking for, you will find something that suits your needs when you shop with us for your LVT flooring. If you have not revamped your home style in a number of years, you may find that your existing features have become tired and outdated. While you may be tempted to go through an extensive and expensive home remodeling job, the truth is that you can achieve a bold new look simply by switching out your flooring. At our store, we have a full selection of beautiful and resilient flooring that will make any room stand out for all of the right reasons. As times change, innovations in the industry have made it possible to achieve a luxury look without the luxury price tag. Today’s vinyl flooring is designed to perfectly mimic both the look and feel of popular high-end floor fashions, but at a price that fits any budget. From hardwood planks to stone tiles, our collections of this flooring come in coveted styles that are designed to impress. Shop with us and you are sure to find the floors that perfectly suit your needs in looks, performance, and price. With all of the options available in luxury vinyl tile flooring, we understand that it can be difficult to select the right one for your home. Fortunately, our sales associates are here to help you. When you visit our showroom, we are happy to meet with you to discuss the features and benefits of each of our products. By turning to us, you will receive personalized support throughout every phase of the buying and installation process. In order to best serve the needs of the community, our flooring store and showroom offers an impressive inventory of luxury vinyl tile and plank. No matter what vinyl product you choose from our selection, you can feel confident that it will continue to look great in any area of the home. When it’s time for you to upgrade old flooring, look to us for exclusive selections and exceptional vinyl tile installation services. Is your household an active place that includes children, pets, or a heavy amount of foot traffic? With all of the use your floors endure each day, it is essential that you choose a durable material that will hold up over the years. Luxury vinyl tile, often referred to as resilient flooring, embodies the perfect balance between style and function. These floors are ideal for busy homes with heavy foot traffic. Whether you are concerned about pet accidents or rambunctious children, you can’t go wrong by choosing this flooring for your upcoming floor replacement product. Should You Consider Vinyl Plank Flooring? Many homeowners dream of adding the luxurious look of hardwood to their rooms. However, depending on where you wish to place your new floors, real wood planks aren’t always a practical choice. In areas that experience high levels of moisture and humidity, hardwood can swell and warp. For moisture-prone areas, like the bathroom, kitchen, and basement, we recommend you opt for vinyl plank flooring for a beautiful look that lasts. Not only are the vinyl planks we carry shaped like traditional hardwood, but they also feature unique grains, stains, finishes, and textures, just like your favorite wood floors do. Once you have decided on the perfect vinyl for your home, count on us to finish your job for you. For your convenience, we offer full luxury vinyl tile installation services for each of our clients. Our in-house technicians perform these services using the field’s trusted techniques and tools. With years of experience and training, these installers successfully place floors in a timely manner. And because we back our work with some of the most impressive service warranties and flooring guarantees available, you can feel confident entrusting us with your upcoming flooring project. Contact us to shop at our local showroom for your luxury vinyl tile flooring. We proudly feature a full stock of luxury vinyl tile and plank for clients throughout the 92653 zip code, including Laguna Hills, Tustin, Mission Viejo, Laguna Niguel, and Irvine, California.